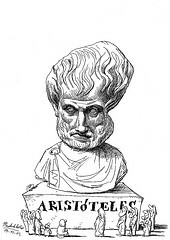 The moral is that we will either operate with something like an Aristotelian static view of metaphysics offers, or we will operate with a dynamic view of reality that is offered through a Trinitarian theology (and illustrated by an Einsteinian theory of relativity). One that is mediated through the contingencies of God become human in Jesus Christ. Why do “Evangelicals” continue to think out of dualisms wherein there is a ‘Kantian” dichotomy and competition between Objective and Subjective knowledge? 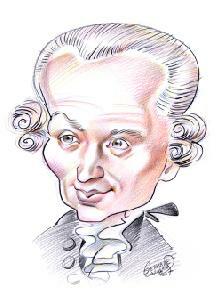 Certainly we are ‘conditioned’ beings, and thus our ‘subjective knowledge’ is relative; but, this does not mean that we cannot know ‘objective’ reality (contra Kant). The Incarnation itself, itself a novum (or new thing sui generis), penetrates humanities’ subjective state by the objective (divine) entering into the subjective side through the enhypostatic humanity of Jesus Christ. We, then, like Christ, by the Holy Spirit, participate and live out of the ‘Divine life’ of grace that allows us to enter into the ‘holy of holies’ or ‘inner sanctum’ of God’s life. This, is basically what TF Torrance’s “critical or theological realism” provides. Yet, people, often times, unconsciously pass right by the project of stratified and unifed knowledge of God — and thus reality — that TFT offers. It’s almost like people actually like living out of their own subjectivities; even when they claim to be trying to do just the opposite, weird 😉 .